We believe in serving you with best means and now we also provide Jodhpur Udaipur trip to let you explore this beautiful place Now, you can discover Udaipur, which is city of lakes, and Jodhpur also known as Blue city in depth with our services. You get to enjoy the best of facilities services like meals and accommodation being provided by us. This morning after breakfast you will drive to Mughal city Agra and check into your hotel. Enroute you may also visit Mathura-the birth place of Lord Krishana. This afternoon visit the Agra fort, built by the great Emperor Akbar, and the famous Taj Mahal-the symbol of love, built by Emperor Shah Jahan in memory of his wife Mumtaz Mahal. By evening return to your hotel for overnight. Stay overnight at hotel in Agra. Note: The Taj Mahal Remain Closed on Every Friday. The Taj Mahal Visiting Hour from Sunrise to Sunset. 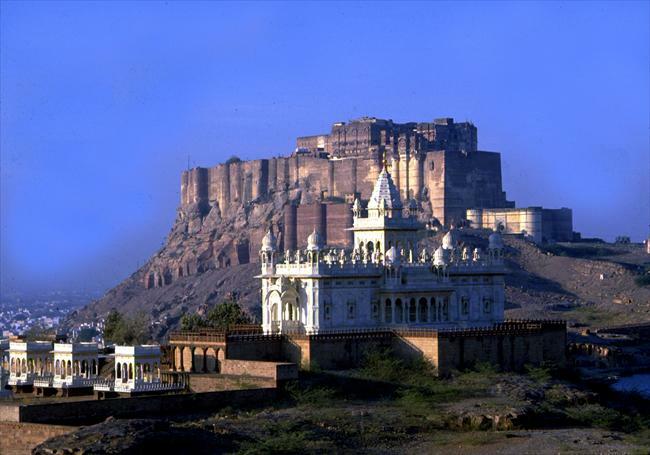 This morning after breakfast visit the Mehrangarh Fort situated on a low sandstone hill. Within the fort visit Moti- Mahal and Phool Mahal. Also visit Jaswant Thada, an imposing marble cenotaph built in memory of Maharaja Jaswant Singh in 1899 and the Umaid Public Gardens. Rest of the evening is at leisure. Stay overnight at hotel in Jodhpur. This morning after breakfast you will be transferred to Udaipur. Tto Explore the Venice of East. Rest of the day is at your leisure Overnight at hotel. * 9 Nights accommodation in hotels with breakfast on twin sharing basis.